I love having a wreath on my front door to welcome guests and of course welcome me home too. 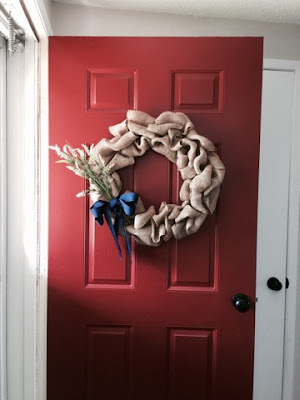 Since Christmas is over and our wreath has been packed away once again for the year, I figured now would be a good time to share with all of you my first DIY burlap wreath. 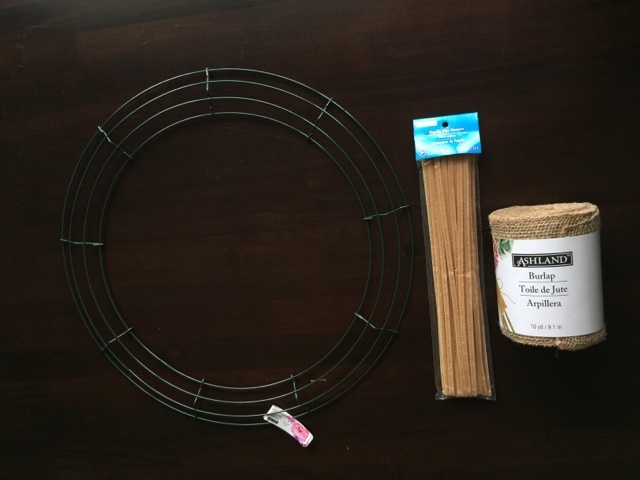 I did my research and watched a few different ways of doing this, so today I am sharing with you the way I found most simple. I followed this simple instructional video that I found on Pinterest. To watch click here.